Allergies / Hay Fever - Andreas Schwerte, O.M.D., L.Ac. If you live in the Bay Area, it’s a pretty safe guess that you know at least several people suffering from allergies. Many patients visit my office looking for a cure after they spent years on medications treating allergy symptoms. 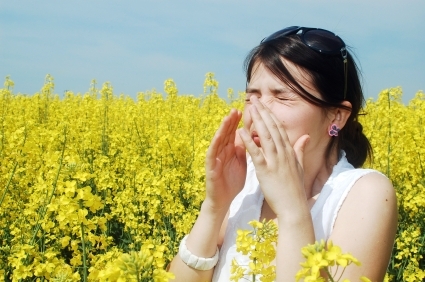 Chinese medicine is extremely effective and efficient at healing allergies. The treatment involves a combination of herbs and acupuncture, and usually brings improvements within 2 weeks, and typically, lasting results within 3 months. After successfully treating hundreds of patients for various allergies, particularly seasonal allergies and allergies to dust and animal dander – it has become one of my favorite ailments to treat. 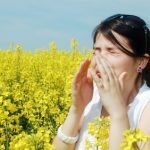 Those suffering from respiratory allergies essentially display a set of systemic imbalances — deficiencies that can easily be healed with the right treatment. The same systemic imbalances that cause allergies also cause the body to weaken and are essentially responsible for the process of aging. By correcting these factors one can not only heal allergies but can profoundly improve one’s health and well-being. Healing allergies makes a huge difference in the lives of those suffering. Simple cases, like seasonal allergies or allergies to dust and animal dander, should not go untreated, with simple and quick solutions available. And allergy sufferers should not be locked into infinitely treating symptoms, when there is a way to address the cause and bring lasting relief. Help me spread the word.